Bilateral Air Service Agreements are international trade agreements that permit the airlines of two countries to conduct air transport services between their respective territories. Currently, Nigeria has signed over 80 bilateral air service agreements with various countries, which have largely failed to benefit the country. This position is largely against the principle that multiple benefits are to be derived from such international commercial arrangements, as confirmed in Part 8 of the Nigerian Civil Aviation Policy, 2013, which provides that air service agreements will be premised upon economic considerations and expectations. In This Day newspaper’s publication on November 19, 2018, it was reported that statistics from the International Air Transport Association, revealed that international airlines sold tickets worth $1.4 billion to Nigerian travelers in 2017, while tickets worth $800 million were sold in the first six months of 2018. Unfortunately, while foreign air carriers continue to make monumental gains from operating flights to and from Nigeria under the bilateral air service agreements, Nigeria’s domestic air carriers continue to remain shortchanged under the agreements, as their inability to reciprocate these flights has been reported to cost the country over $3 billion annually. Suffice to say that the present bilateral air service agreements signed by Nigeria with other countries reflect an imbalance in these agreements. This position is totally unacceptable, considering that aviation occupies a strategic role as an integral means of generating revenue in any economy. Notably, aviation stakeholders have identified that the unfair imbalance created under Nigeria’s bilateral air service agreements can largely be attributed to an absence of government policy protecting the Nigerian airlines. Given this position, it becomes crucial to create a government policy to resolve the imbalance. It is these circumstances that warrant the consideration of Nigeria’s imbalanced bilateral air service agreements and the ramifications of enacting the proposed ‘Fly Nigeria Act’, which aviation stakeholders have clamored for, as a viable solution to resolving the imbalance. Previously, the Nigeria Airways was the national carrier that executed Nigeria’s part of its bilateral air service agreements, however, its regrettable demise meant that inevitable difficulties would be presented to Nigeria’s efforts to continue to fulfill its own end of the agreements. 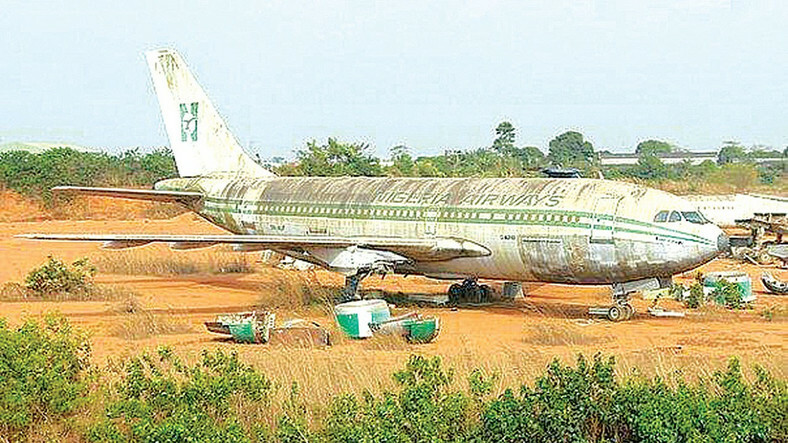 It is also recalled that the defunct Nigeria Airways was replaced by Air Nigeria (originally Virgin Nigeria), however, it is quite unfortunate that the latter suffered the same fate of the former. The inevitable result is that there is no existing national carrier that would position Nigeria to reciprocate its bilateral air service agreements with other countries. This constitutes an unacceptable situation considering that a country’s national air carrier boosts that country’s image and tourism. Arguably, the current nonexistence of a national carrier is clearly an indictment on the past and current governments for their failure to sustain the continued existence and operation of the defunct national carriers. In the wake of the demise of the national carriers, privately owned airlines have tried to successfully operate the international routes, however, they have been incapacitated through formidable difficulties in the nature of financial constraints. Regarding these financial challenges, one need not look any further than Arik Air’s operation of the Abuja-London route that appeared to have encountered the problematic issue of securing landing slots in UK airports, which was due to the significant costs in getting the slots. In a chat by a Former Director in Medview Airline, Mr. Lukeman Animaseun, with This Day newspaper, published on July 13, 2018, he stated that the costs of securing landing slots were too high and prohibitive, which would affect the capacity of any local private airline in operating the international routes. In other words, the same problem experienced by Arik Air would be encountered by any other private airline that sought to operate the international routes. He further noted that while the government had initially made efforts to intervene in respect of the difficulties experienced by Arik Air with the UK airport authorities, this intervention was, however, not sustained. 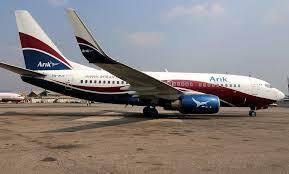 It was his opinion that the difficulties experienced by Arik Air would not have been so, if it had the status of a national carrier, as the government would definitely retaliate against any hostile measures or actions of the UK airport authorities. However, it must be stated that while it is true that the government would certainly protect the interest of its national carrier, it is also true that the government owes the same obligation to any domestic private airline that operates the international routes. This is in light of the position that under most of Nigeria’s bilateral air service agreements with other countries, there are provisions granting the parties the right to designate the air carrier(s) that will be authorised to operate the agreed routes. Against this backdrop, if in the absence of a national carrier, a domestic private airline has been authorised as the air carrier to operate an agreed route, the government owes that designated carrier a duty to advance and protect its interests. As a result, the failure of the government to adequately protect the interest of private air carriers operating international routes reflects a lack of political will to do so. The concept of cabotage originated from the shipping sector and refers to the carriage of goods or passengers from one place to another place within the same country, by a transport service provider from a foreign country. The practice of the concept can, however, be considered inimical to any country where it is permitted, as the economic growth and development of that country’s maritime sector could be inhibited. As a result, it is not surprising that an appreciable number of countries have enacted cabotage laws restricting the participation of foreigners in local shipping. For instance, Nigeria has its cabotage restriction law in the form of the Coastal and Inland Shipping (Cabotage) Act, 2003. While cabotage was originally associated with the shipping sector, its application has been extended to the aviation sector. As a result, Article 7 of the Chicago Convention 1944 permits a State to refuse foreign airlines the right to operate domestic flights in its territory. It is noteworthy that Nigeria has categorically forbidden cabotage in its bilateral air service agreements. However, it appears that simply prohibiting cabotage is inadequate in dealing with the imbalance arising from Nigeria’s bilateral air service agreements, which is created by the challenges posed to the implementation of the agreements, as earlier considered. Given this position, it is quite clear that cabotage restriction must be taken a notch further. In this regard, it is submitted that there is a growing necessity to enact legislation based upon a policy that will ensure that every government spending on travels, originates and terminates with an indigenous national air carrier. This policy can be modeled upon the United States of America legislation, Fly America Act, which primarily requires federal employees, consultants, contractors, and grantees, to use U.S. air carrier service for all air travel and cargo transportation services funded by the U.S. government. In this regard, Nigeria’s proposed model of the American legislation may be regarded as the ‘Fly Nigeria Act, if and when enacted into law. Over the years, there has been clamour from various aviation stakeholders for the enactment of the ‘Fly Nigeria Act’, which would appreciably curb capital flight and compel foreign air carriers to partner with domestic air carriers, by way of code-sharing. Recently, a chat between correspondents from This Day newspapers and various aviation stakeholders, which was published on November 19, 2018, revealed that the Fly Nigeria Act is legislation widely clamored for by the stakeholders. Presently, Olisa Agbakoba Legal, the sponsors of the Fly Nigeria Bill are engaged in positive talks with the Aviation Department of the Ministry of Transport, directed at promoting the Bill. The Bill is currently before the House of Assembly, although it appears that the legislature’s attention in respect of the Bill has been directed elsewhere. It can only be hoped that the Bill will be enacted sooner than later, as Nigerian continues to grapple with the economic effects of the imbalance of its bilateral air service agreements. It is clear that there is a need for Nigeria to revisit its bilateral air service agreements, in light of the glaring imbalance arising from the agreements. It must, however, be stated that while the Fly Nigeria Act will be welcome legislation for dealing with this imbalance, it is very crucial to note that the proposed legislation cannot of its own simply cure the maladies of Nigeria’s bilateral air service agreements. For the proposed legislation to work, it is crucial that Nigeria’s domestic air carriers must be ready to fulfill the requirements that will enable them to operate the agreed international routes in Nigeria’s bilateral air service agreements. If the domestic air carriers fail to do this, the proposed legislation will inevitably be bedeviled with difficulties, as this would mean that there are no domestic air carriers to promote the success of the proposed legislation. Written By: Dr. ‘Wole Akinyeye – Head, Maritime Unit.